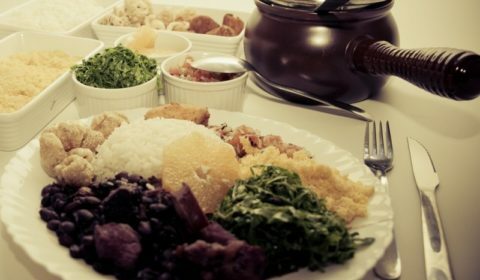 Rio de Janeiro’s famous festival, ‘Carnival’ is coming up, and if you’re thinking of heading down to have a taste of the party atmosphere, or even if you’re staying at home, simply having a bit of Brazilian food in honour of past journeys to the Southern Hemisphere, don’t forget to try Brazil’s national dish: feijoada. Feijoada is one of the most well-known and common dishes in Brazilian cuisine, and it has a long history, as well as many variations based on region and in-season ingredients. 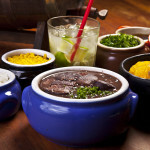 Feijoada, a savoury black bean and meat stew, is the most delicious of Brazil’s national treasures. 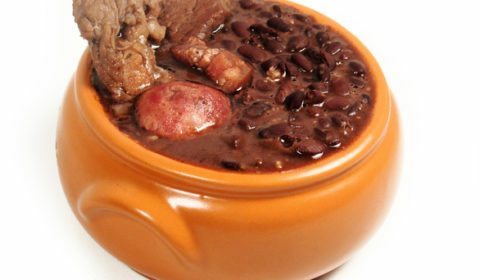 This famous Brazilian combination of beans and rice with pork pieces has been a served up in Brazil since before the 16th century. This delicious meal is made so often and with such enjoyment that it is widely accepted as Brazil’s national dish. This rice, beans, and pork dish is both a comfort food and a good, nutritious and filling meal whether you’re having a huge crowd to dinner or just an intimate night for two.